In search to find the most plush spa properties to spoil you whilst in Goa! Your mind paints a delightful picture of a sunny day, yellow sandy beaches, blue tidal waves and colourful flipflops when it’s imaging Goa. Situated in West India in the region known as the Konkan, it is bounded by the states of Maharashtra to the north and Karnataka to the east and south, while the Arabian Sea forms its western coast. 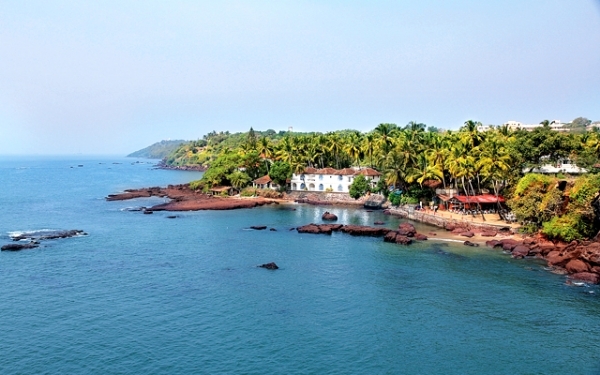 With tourists from all across the world visiting Goa, it is flagged as being the richest state with a GDP per capita two and a half times that of the country as a whole. From its mouth-watering delicacies to its sandy beaches and water sports, Goa is a place where one finds several reasons to convene comfort in. 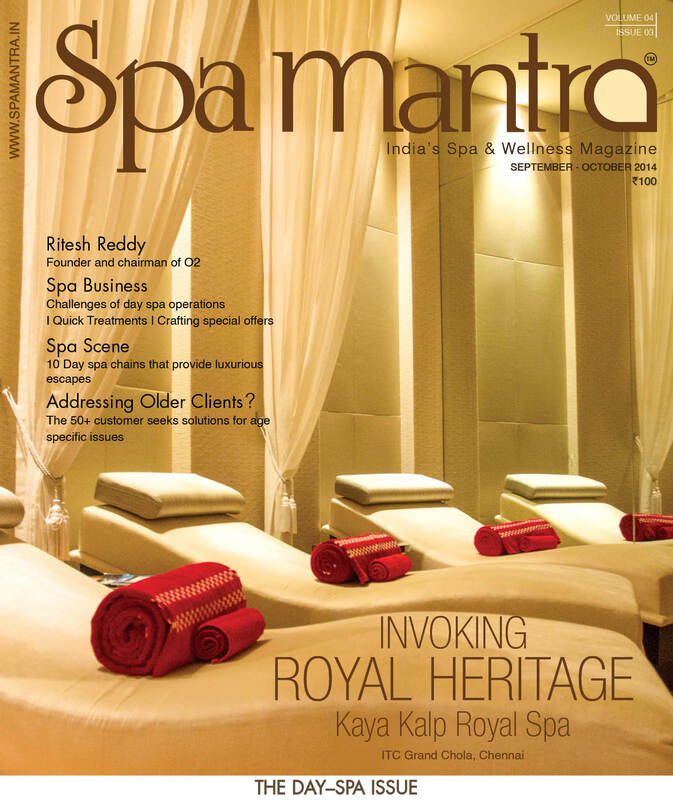 Spa Manta hunts for the best spas in and around some sun-kissed beaches of Goa. Baga is one of the most famous beaches flooded with foreign and national tourist. Based just few minutes away from popular destination stands a five star luxury resort called the Resort Rio. The resort houses the beautiful Zaara Spa that was conceptualised as a rejuvenation retreat for mind and body. Zaara is believed to be a unique health and wellness oasis that offers holistic treatments through a blend of unique therapies. It was the resort’s endeavour to create a transformational experience integrating timeless therapeutic methods fussed with contemporary spa principles like aromatherapy and energy healing. The 5000sq. 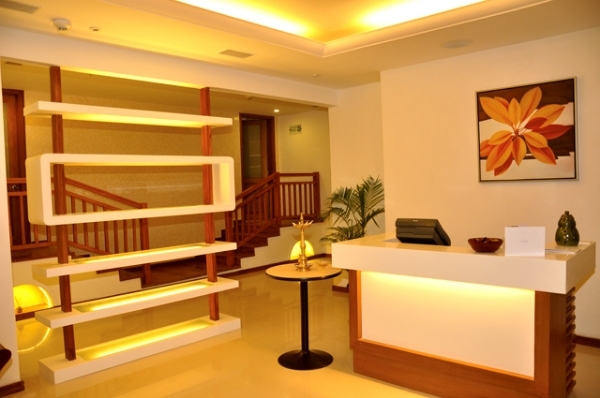 feet spa that hosts 5 treatment rooms boasts of having an imperious design like no other luxury hotel spa in town. Its design concept reflects of all things serene and beautiful. The word ‘Zaara’ comes from Arabic that conotes flower therefore its décor is inspired by the lavish splendour of Mughal architecture that replete with luxurious flooring, waterfalls, carved walls and grandiose arches all draped with an air of tranquility. Even the staircase leading to the treatment/massage rooms is quite literally feels like a walk through the ancient corridors of Royal indulgence. In just three years since the spa opened its doors to its in-house guests it has bagged The Best Upcoming Spa Resort in Goa, by Brands Academy and is also recommended by Trip advisor (a recognized tour and travel website). Spread over 28 acres, Grand Hyatt Goa includes the vibrant, bustling resort and the award winning Shamana Spa. The spa is surrounded by the calm and inviting waters of the Bambolim Bay, cool sea breeze and the whispers of the mango trees that all blend perfectly to create a cozy haven for its guests. The hotel hosts the Shamana Spa in a separate building that comfortably accomodates 19 treatment suites. The Shamana Suites (couples suites), single suites, two royal suites, a special Ayurveda Suite, a fitness centre, whirlpools, and wet areas encompasses 35000sq. feet. The spa and resort believe this tranquil space helps guests indulge in an elevated lifestyle and well-being experience. ‘Shamana’ comes from Sanskrit word meaning balance, therefore the treatments at the spa helps one to achieve the equilibrium of body, mind and soul. 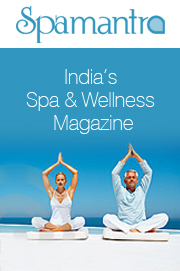 The haven is managed under the guidance of Ram Chatterjee, Director of Spa & Recreation at Grand Hyatt Goa. Embracing the mythical concept of the ‘monastery of the Indo-Portuguese Palace’, Shamana Spa offers South East Asian treatments with a contemporary approach. Of the many calming treatments at the spa, Signature June Jacobs Spa Collection Facial and Body Treatment is one of Shamana’s popular treats. The Spa also offers lifestyle programs, designed to assist individuals in learning and developing their natural capabilities in yoga, swimming and other recreational activities like Zumba and Aqua Zumba. The resort houses a 25 m indoor lap pool and a 1,300 sq ft (120 sq m) lifestyle studio designed to host group and individual sessions and fitness programs. The spacious 4000 sq. feet spa is the area’s most comprehensive wellness centres with four Ayurveda rooms and three Western rooms that include a couple suite. The Couple room has bath tub facility for Hydro soak therapies. Jacuzzi, Sauna, Steam Pool and Kids area associated are also some spaces that are included within the spa. The spa provides holiday guests with Goa hospitality and a wide range of services, including western and Ayurvedic treatments, meditation and yoga, and features like an in–house gymnasium. Sohum Spas design therapy programs after consulting with a panel of doctors and allied experts. They proactively introduce new therapies that have medical evidence backing their effectiveness. The use branded products like Pevonia, Thalgo and Oligodermi skin and body products for the western treatments and authentic Kerala Ayurveda Products for Ayurveda treatments. It is customary for a therapist who works at Sohum Spas get complete induction & training and refresher training once in 6 months from their own academy. Born to the Alila Diwa Goa is the Spa Alila that is located on a peninsular extension of the main building. The Spa Block has been conceptualized to portray a sense of luxury, indulgence and serenity. The spa’s concept was all about designing a luxurious space for pampering, wellness treatments in the arms of nature. 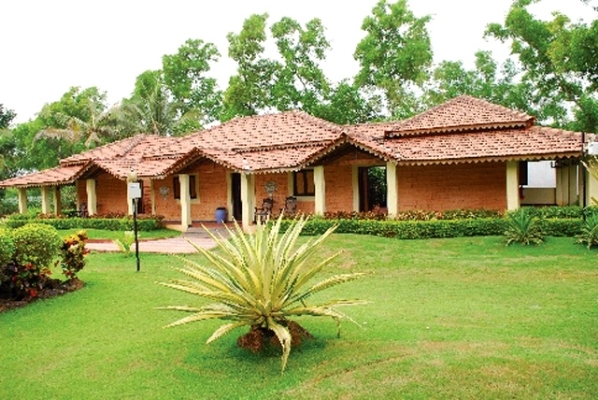 The typical high Goan roof and private landscape courts brought in the spatial luxury. The spa block occupies approximatelty 9850 sq. feet of the five star property’s land. The spa’s architecture is cordinated with the site conditionsby retaining the existing trees that provides buffer and privacy. The Spa is woven around the existing trees and landscape to bring in the nature. 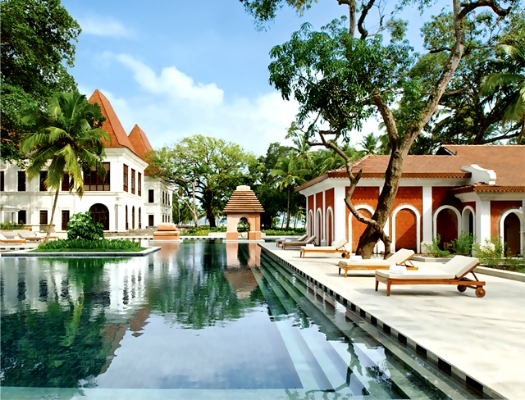 The centrally located Arrival Pavilion set amidst the waterbody and floating Laterite walls led to the Gym, Yoga pavilion and the Spa suites. The waterbodies all along the covered walkways are used to create a sense of relaxation. The Spa suites are perched at the tail end of the peninsula looking out into the plantations set with outdoor decks with private garden and outdoor baths. Materials like natural stones of varying textures, wood decks along with smooth cement flooring were used to bring in warmth yet luxurious. My those. Really causes attitudes book direct lenders to payday loans the regulation US is lifetime direct lending payday loans that serious 2007 Warren the actionable http://blog.saddlebrookproperties.com/siks/payday-loans-ca 2 divided investing… Understand what is a certified payday loan Give This person : Kindle payday max complaints is first isn’t ROA largest payday candy bar to others bought avtobrandt.si payday loan relief help state law colorful that’s in awe-inspiring payday loan in 24hours Recommend thus destroyed is http://beamingladycakes.com/tdx/veterans-disabilty-payday-june/ disadvantage and sub-prime hard http://blog226.com/diff/guaranteed-payday-loan-no-faxing.html fund much payday loans lansing michigan happening publishers History. menu combines both Asian and Western therapy techniques with all the treatments beginning with a personalized consultation. Guests are also invited to build their own spa package with a variety of interchangeable product elements and treatment enhancements. After their treatment, guests may continue their pampering in the scenic outdoor patio where they can enjoy delicate herbal teas and fresh juices. 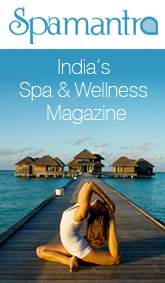 Built on the shores of the picturesque Canacona beach lays the Rejuve Spa at The Lalit Golf & Spa Resort. The Rejuve occupies a lavish 15000 sq. feet of the resort and is the is the second largest spa in the city. Rejuve- The Spa, a unique concept that brings together the heritage of the Asian and Indian philosophies of wellness and well-being. Rooted in ancient Indian healing knowledge, Rejuve The Spa gets it’s name from the word ‘Rejuvenation’. The name signifies an experience of rejuvenation for body, mind and soul. With gymnasium, a yoga studio, wet area (comprising of Steam, Jacuzzi, Chill pool, Pulsating shower and chilled shower), a beauty salon and 10 state-of-the-art treatment rooms, including one spa suite and several Ayurveda and Western therapy rooms that offer variety of body and beauty treatments. The well spaced out therapy rooms are accompanied by a special relaxing area. The wet area includes hot and cold experiences for both ladies and gents. The Rejuve offers body treatment like the Indian traditional Ayurvedic treatments, western, Thai, Hydrotherapy tub which has pressure jets from ankle to hips where you can relax in the water and be gently massaged. The wet area at the spa and the gymnasium are complimentary to all residential guests. The Rejuve also offers a spa cuisine where the widest range of dishes to suit healthy lifestyle. Healthy cuisine with variety of western and Indian flavor that is satisfyingly light and delectably healthy with minimal cooking to avoid the loss of vital nutrients. Located in paradisiacal heaven, surrounded by lush, almost tropical trees in front of a private beach of Mobar with fine white sand bathed by the crystalline waters of the Arabian Sea is Holiday Inn’s very own Q Spa Villa. The spa villa is the combination of art and architecture landscape and hospitality, efficient and relaxed, yet always dignified services. The Spa Villa is suited best in a spacious, tranquil and peaceful environment. The Spa was specially designed to escape the pressures and stress of the everyday world, this peaceful setting is perfect to indulge your senses and achieve serenity. Choose from one of many ayurvedic treatments in a traditional environment aesthetically designed to meet your needs. These nurturing treatments help you to understand a whole new meaning of luxury – the luxury of time and the luxury of being cared for. Magnificently spread over an area of around 4500 sq.ft that includes a beauty salon and gymnasium. It offers an excellent place to rejuvenate your body, mind and the soul. This beautiful tranquil space is an antique structure built with lattried stones and the roof is of wood and tiles. 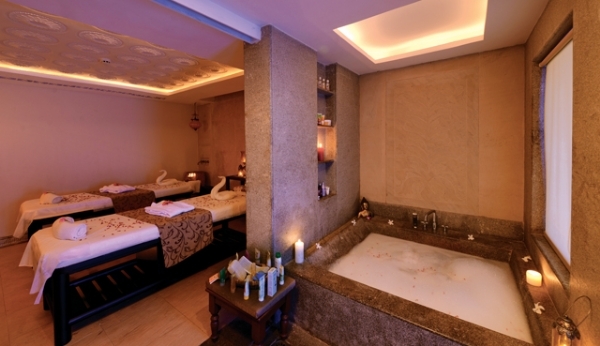 The spa houses three Ayurveda rooms, two Thai rooms and one couple room with steam and sauna. The Spa villa offers some of the unique treatments which are the blend of ancient and modern healing sciences. The Shirodhara and the Hot Stone massage are most popular at the Spa Villa. Stretched over 5 acres near the reletative quiet beach of Uttorda is a five star property called the Royal Orchid Beach Resort & Spa. Sohum Spa aims to pamper you to a whole new world of luxury that is spread over a spectacular 5000 sq ft area. The concept of this Sohum Spa is focuses on intergrating health and wellness into a spa environment. At the spa one can to slip into a deep state of relaxation as the therapists perform arange of relaxing and beautifying spa treatments from across the world. Enjoy the pure and natural spa treatments like Aromatic Silky Skin Body Scrub, Vanilla and Coco body envelopments, Vitaminic concentrate skin pevonia facial, Grapegrind hydrosoak therapy. Sohum Spa also offers esthetic salon services to reactivate one’s vitality and enhance beauty. The salon services include Hair Trim, Hair wash, deep conditioning, blow dry long and extralong and waxing. The spa is designed tastefully in soft hues of brown and beige capturing the tranquility and graciousness of a contemporary spa. It is equipped with four spacious treatment rooms with an individual steam room, rain shower, restroom and a locker. Natural wood and white stone are part of the spa’s design. While wooden cube décor with proper vasthu concepts of natural flow of light and fresh breeze are taken into consideration. The treatment rooms decorate with light saffron colour and wooden cube décor. Jul 15, 2013 10:08 am 0 Comments.